A detailed and comprehensive A-Z reference book of plants and how they affect each other favourably and unfavourably, for improved results for farmers and gardeners. It has long been observed, by farmers, gardeners and botanists alike, that from time to time certain plants seem to affect certain other plants growing their near them -- both favourably and unfavourably. By taking account of these relationships, farmers and gardeners can improve the quality of food and flowers, reduce losses from pests and disease, drought and frost, and enhance both satisfaction and pleasure in their work and financial profit. Years of experimentation by Richard Gregg and subsequently Helen Philbrick and others resulted in this unique reference book. It offers a detailed and comprehensive A-Z of plants and how they affect each other and their surrounding environment, including the soil, insects and birds. Helen Philbrick (1910-2011) worked with Richard Gregg and Evelyn Speiden Gregg to experiment with companion planting. She wrote extensively on the subject. Richard Gregg was an early pioneer of companion planting. In the 1940s, he and Evelyn Speiden Gregg used their own garden to experiment with different plants. 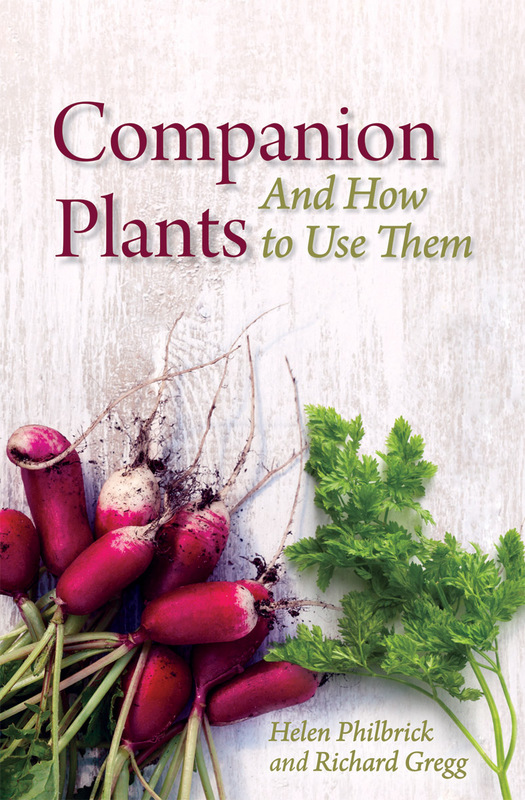 This book is an updated and revised edition of the older pamphlet by Richard Gregg, Primer of Companion Planting, which is now out of print. 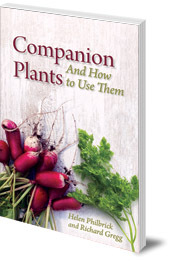 The information in Companion Plants is organised in a different way, but all the great tips and and insights from the older book are included.